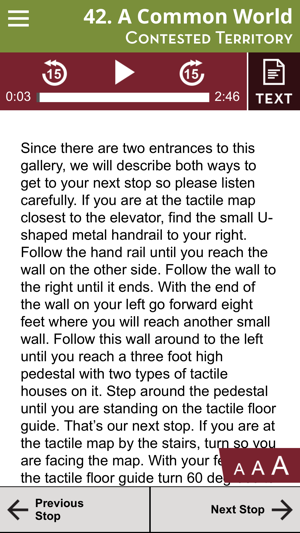 Specific audio instructions, tactile maps and floor guides create guideposts which make it easier to navigate the museum independently. The audio tour guides you to different artifacts or interactives, while providing descriptive information about each stop on the tour. 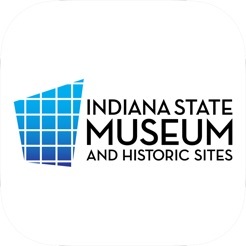 This app features tours of the museum’s two newest galleries – Frozen Reign: A State of Change, and First Nations: The Story of Indiana’s Founding People, as well as three of the museum’s cultural galleries. Download the app now, or when you arrive at the ticket counter ask a museum representative to help you download the app onto your own device. 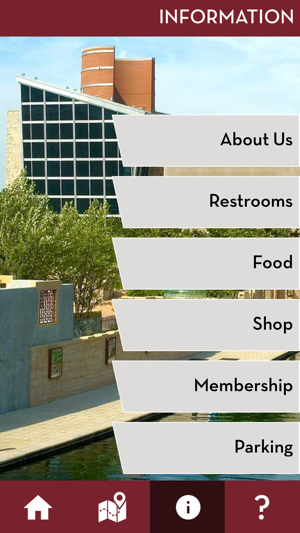 Or, check out one of ours to use during your visit. Then proceed on the self-guided tour. The app itself provides an interactive guide that helps people who are blind or have low-vision navigate the museum independently. It describes key features of displays and summarizes essential points of written labels. At the beginning of each gallery, there is a tactile map with an overview of that space. A star represents the location of the tactile map and your starting place for that gallery. On the right side of each map is a legend in braille and raised numbers that indicates where specific exhibits are located within the space. And arrows mark the entrances and exits. The app calls out various tactile and interactive experiences. You’ll also hear about any potential obstacles, obstructions or changes in flooring. Don’t hesitate to reach out with your hands or canes, as fragile objects are well-protected. Directions will guide you from gallery to gallery, and tactile floor guides will ensure you begin each audio stop at the right place. When finished listening to an audio stop, press the Next Stop button in the lower right of the screen. This button is easily found using finger gestures. 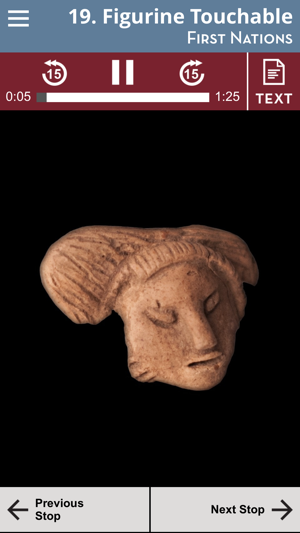 Currently, the app features tours of the museum’s two newest galleries – Frozen Reign: A State of Change, and First Nations: The Story of Indiana’s Founding People, as well as three of the museum’s cultural galleries. More tours will be added to the app as the permanent experiences undergo renovations over the next several years. Indiana State Museum Foundation, Inc.